To view schedule and heat draws for September 19, click here. Kanoa Igarashi wrote the history books for Team Japan on the third day of competition at the 2018 UR ISA World Surfing Games (WSG), earning a spot in the Men’s Grand Final and therefore guaranteeing the first-ever individual medal for Japan in the event’s 54-year history. Argentina’s Santiago Muniz will join Igarashi in the Grand Final and look to win his second WSG Gold after he achieved the honor at the 2011 edition in Panama. 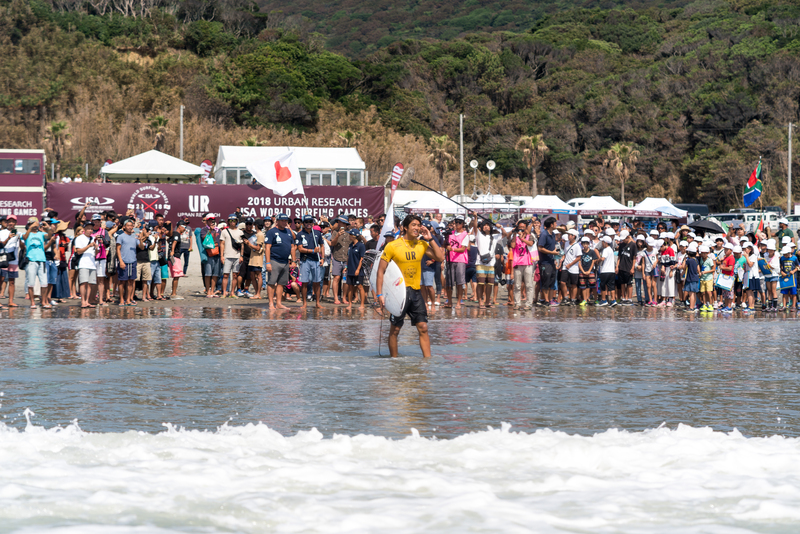 After another day of elimination Repechage Rounds at Long Beach, the team standings have started to take form, with the host Team Japan being the last team to have all surfers remaining in the event. Team Spain and USA are close behind, having lost only one surfer each. 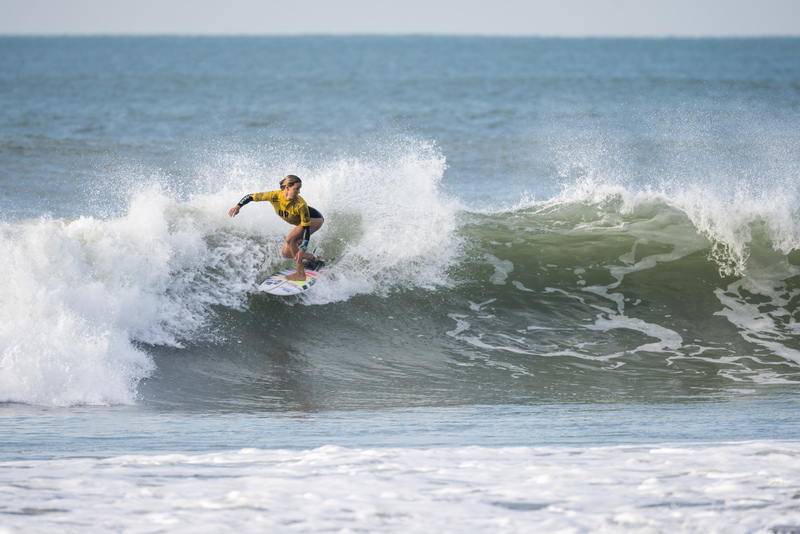 With the Men’s Grand Final to take place on Wednesday, it is expected that Women’s Final will run later in the week, waiting out a brief flat spell of waves. The women’s division features some of the top names of the sport going for the Gold such as France’s dynamic duo Justine Dupont and defending Champion Pauline Ado, Australia’s Sally Fitzgibbons, New Zealand’s Paige Hareb, South Africa’s Bianca Buitendag, and Peru’s Sofia Mulanovich. 12-year-old phenom from Team USA, Caitlin Simmers, was not able to advance through Round 4 of the main event, yet she put on a performance against the elite powers of the sport that certainly ensures a bright future in her career. Simmers’ run in the event isn’t over, as she will get a second chance to advance in the Repechage Rounds. The highest heat score of the event was earned by Canada’s Bethany Zelasko, earning waves of 9.23 and 7.67 to score a total 16.90. Zelasko also fell to the Repechage Rounds and will look to earn a medal via the elimination rounds. As the Main Event heated up on Podium A during Tuesday’s competition, the elimination Repechage Rounds narrowed the field down the beach on Podium B. Team Senegal lost all their surfers in the Repechage Rounds, however, they had a successful showing in their second World Surfing Games in history, demonstrating the growing reach of Surfing around the globe after Olympic inclusion. Vice President and Coach of the Senegal Surfing Federation Oumar Seye spoke about the growth of the sport in Senegal and Africa as a whole. “Surfing is growing in Senegal. We now have 600 members in our federation,” said Seye. 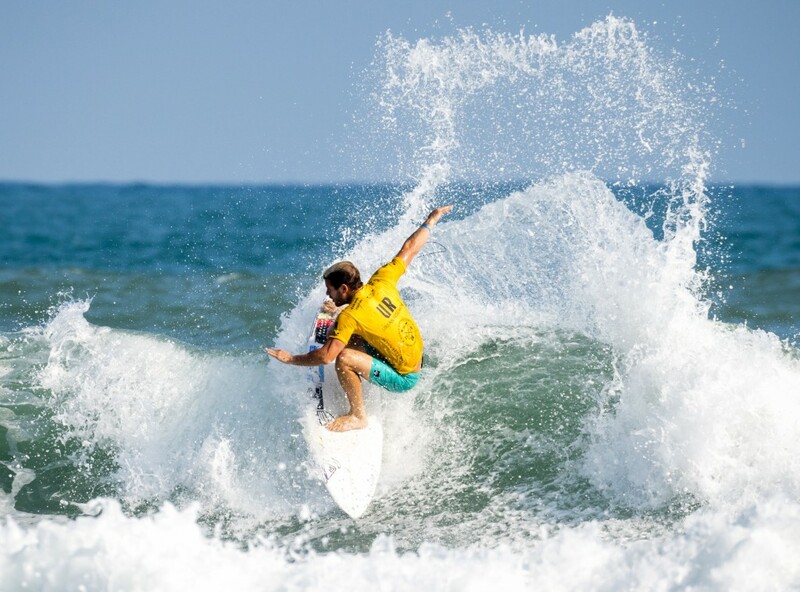 “This is our second World Surfing Games after we competed last year for the first time. This is really an incredible experience for our surfers to compete on a global stage. Another inspiring story coming out of the Repechage Rounds was Hai-Hsin Pan and Mei-Hsin Pan, the brother and sister duo on Team Chinese Taipei. “We have the typical brother-sister dynamic,” said Hai-Hsin. “We fight like any siblings, but we bond really well, especially competing on the same team in Surfing, the sport that we love. Both of the Chinese Taipei siblings fell in the Repechage Rounds, but they are looking forward to taking this experience and improve upon their results in the Junior Championship next month. “The action witnessed today in Tahara was nothing short of amazing. “We have arrived at the pinnacle of the Men’s Division, ready to crown our Men’s World Surfing Games Champions on Wednesday. The first medals awarded of the event will give the champions a big boost in the team rankings and create a thrilling finish to the women’s event later this week.